nikakihijau: Australian BOOMERANG in the House! Apologies for the late posting. As always, I am quite occupied with reports and conference call in my office today. 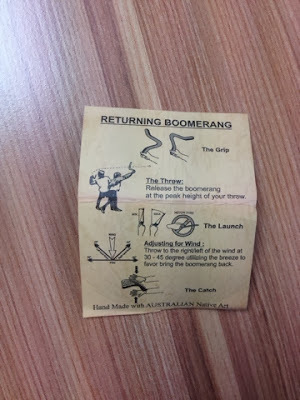 Let me begin my posting today with the Australian Boomerang. 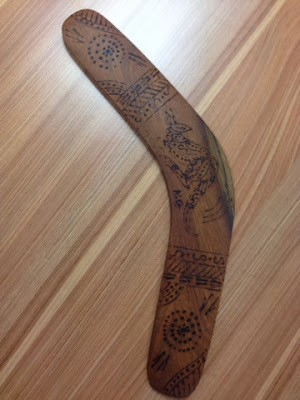 This boomerang is a gift by our CEO as a token of appreciation in winning a bid to acquire a Wind Power Plant in Victoria, Australia. Direct DHL from Australia to Malaysia. This is the instruction showing you on how to effectively use it. It is super cool!